Zeolite is a natural aluminosilicate mineral, white or red. It is a kind of emerging mineral resource. The zeolite after processing can be widely used in industry, agriculture, national defense and other departments. We usually use grinding mill to process zeolite. 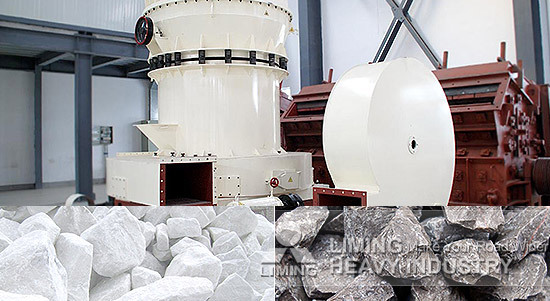 The grinding mill performance will directly affect the performance and capacity of finished zeolite powder, energy consumption and many other issues. So, we must choose the high performance equipment. TGM Super Pressure Trapezium Mill is the patented product of Liming Heavy Industry. It takes mill patented technology of ladder working surface, flexible connection, roller linkage booster, etc., which creates the world highest level of Super Pressure Trapezium Mill. The product obtained ISO quality certification and CE certification. Currently, TGM Super Pressure Trapezium Mill has become the preferred equipment of zeolite powder making, successfully applied to the plurality of zeolite processing projects all over the world. Its performance of high efficiency, energy saving and environmental protection not only create considerable benefits in zeolite production line, but also significantly increase production, reduce production costs for customers.